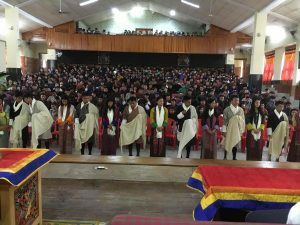 The Investiture Ceremony for the Student Office Bearers for the academic session 2018 was held with great pomp and dignity in a special ceremony at the college auditorium hall. 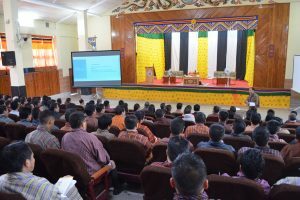 The event was graced by the Venerable Lam Neten of Samtse Dratshang. 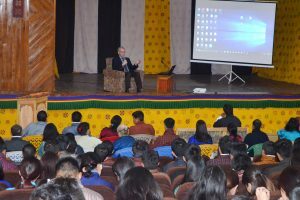 It was conducted with the high degree of earnestness and passion. The Investiture ceremony signifies the reliance and confidence that the college consigns in the newly invested office bearers. Donning the mantle of accountability, they also pledge to bestow their duties to the best of their abilities.